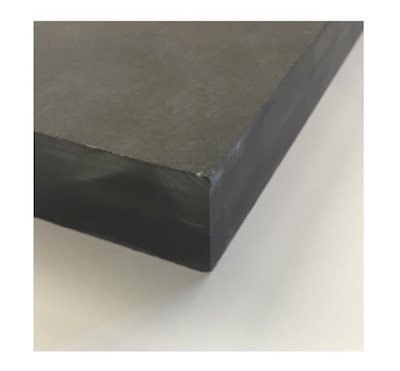 Our Riven slate hearth stones are a naturally split with a very smooth surface that has been sawn on the back to achieve a standard thickness that we can offer you in either 20mm or 30mm thickness. The appearance of this Brazilian black riven slate slab has a almost fine rubbed finish when you look at it. We are able to cut these fire hearths to your many shapes including one piece T shapes up to a maximum length of 1500mm and a depth into the fireplace of back of 1200mm. Slate does make very traditional fireplace stand out and will look great in any room of the home in a modern or older style fireplace. 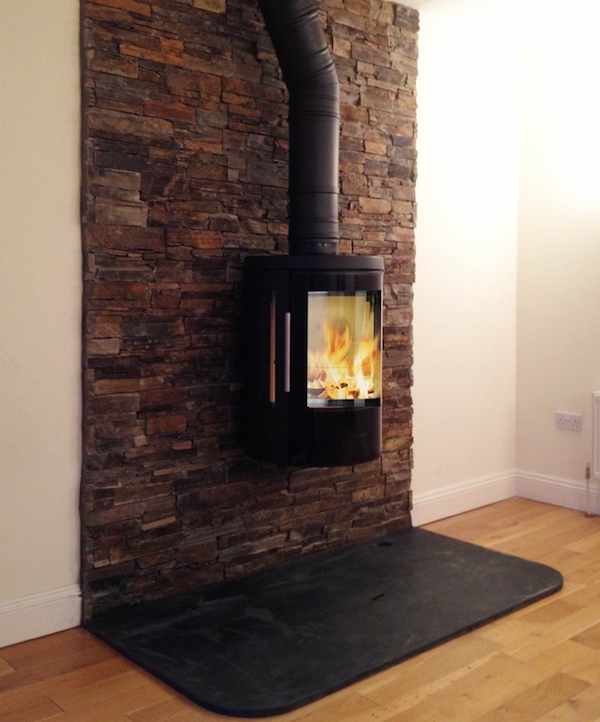 The picture to the right shows a naturally riven slate hearth that has been cut to a D shape which we are able to do for you , being used with rustic Stoneclad wall cladding panel system which really makes any feature wall around a fireplace stand out. As well as cutting the Fire hearths we are also able to produce the back panels in the same slate. This picture to the left shows how smooth our riven slate is it has the appearance of being honed slightly as it is so smooth. 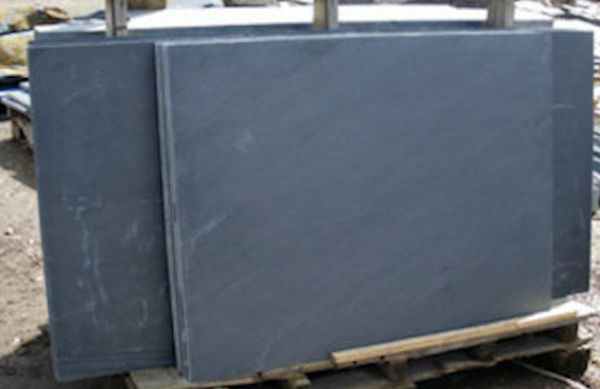 This a great slate for using with a wood burner or multi fuel stove as the legs will sit flat.